With the old year drawn to a close, the festive season is a time to reflect on what has been and hopes for good fortune in 2014. For the property market, the mood is certainly more buoyant than a year ago. I am sure we will all be viewing 2013 as the year when the tide of sentiment turned – when we emerged from the longest coldest winter on record into a spring of economic hope. In an economy so dependent on consumer sentiment powered by house prices and affordability, it has been heartening to see a series of economic measures and indicators that have instilled greater optimism. We have been here before, of course, and we don’t want to get carried away, but it is clear that lenders, agents, valuers and conveyancers are feeling the pent up demand for house purchase released more widely across the market. While talk of house price bubbles remains at the forefront of newsprint, the demand patterns are variable and concentrated rather than a national issue. The bigger issue remains one of available property. Certainly, the appetite to lend is there and we are now at levels just 6% less than the 2007-8 peak. This has been fuelled by a sequence of government liquidity schemes to pump cheap or de-risked money into the system. Funding for Lending was designed to give banks more confidence to get back into the market last year. While this has recently been withdrawn for residential property, Help to Buy has delivered the confidence for house builders to finally unlock land banks and get building again. It is nowhere near the levels that we need each year, but the new build stock needle is moving from sub-100K in 2010-11 to a projected 140K by the end of 2013 – but still over 100K a year short of what we need to keep up with household demand. So, housing supply and planning restrictions remain practical barriers to local house price affordability and perhaps 2014 will see greater pressure being exerted on local authorities to free up the planning system in favour of sustainable housing growth. If the UK economy starts to accelerate quarterly growth and unemployment continues to fall, all eyes will be on the impact of interest rates rises and whether this could have dampening effects on demand going forward. Whilst few commentators are predicting rates rises in 2014, you’d be hard pressed to find many analysts now saying they won’t rise within 2 years. The market therefore seems to be piling in to grab stock while money is historically so cheap. My sense is that 2014 will see a continuation of highly regionalised housing market growth, with London and South East continuing to drive national house price growth. However, there seems little to indicate that such growth will reach out beyond the South East. Sluggish growth or flat-lining in the North of England and Scotland look set to emphasise the risky imbalance of the current market. For the conveyancing industry, further change is inevitable – with a national picture seemingly appearing more attractive again as volumes rise. 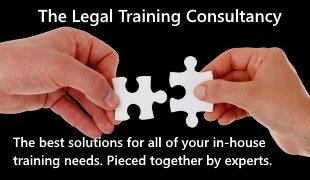 ABSs focussed initially on personal injury will be taking another look at how to package conveyancing to take advantage of growth. We are certainly seeing more M&A in the market to create more consumer-oriented practices and brands. Business referral and panel channels are sure to continue growing, while small firms handling small conveyancing volumes may continue to review performing this, in the context of PI premiums. Legal due diligence in the property transaction will continue to create the competitive edge. With the strengthening of advice by The Law Society on flood searches, the impact of insurability in flood prone areas and the ever present climatic threat – flooding is never far from the headlines. I predict that as uncertainties continue over insurance cover under the Statement of Principles and what the new Flood Re scheme will protect, this will remain a core financial burden in prone areas that will need guidance ahead of completion. Local authorities will also continue to cut their cloth to meet ever tighter fiscal demands from the Treasury. This comes at a time of increasing workload for land charges teams as conveyancing volumes climb and their resources are spread thinner and must represent a significant risk. We have also seen a substantial reduction in funding support for environmental teams to be able to determine contaminated land. With a 2013 budget of just £2million across the whole of England and Wales, whole tracts of land will go uninvestigated, placing the burden of risk on the purchaser, whether residential or commercial. To safeguard clients and practice reputations, therefore, conveyancers should continue to exercise caution and build environmental searches into their client care recommendations. The ever changing man-made landscape will also require greater search scrutiny too – accelerating volumes of planning applications, energy and transport infrastructure changes will impact neighbourhoods and create uncertainty on capital growth for prospective homebuyers. So, with more transactions promised for a more optimistic year of trading, it is important that conveyancers ensure the highest levels of client care to safeguard effective transactions and profitable relationships. These are things that we can control: managing a housing bubble, affordability and credit is another matter and best left to the Exchequer.